Kato: has announced new Mikado's in CB&Q and undec. Read the news carefully these enginer will be built (you do not need to assemble the grab irons and details). The Engine will have a semi-automatic coupler on the front so you can double head the engines!. Our N scale Mikado has received an upgrade! All detail parts now come fully installed, and a new functional front coupler has been added to allow double heading capability. We are happy to announce the rerelease of our N scale USRA 2-8-2 Heavy Mikado in both Chicago, Burlington & Quincy and Undecorated paint schemes. The CB&Q Mikados have a brand new road number, while both locomotives will have all of their detail parts factory installed and a semi-automatic knuckle coupler which will allow double heading the units. Please note, however, that these units are not DCC ready. The CB&Q, a Midwest railroad with lines running from Chicago northwest to Minneapolis/St. Paul and Chicago west to Denver, could never seem to get enough steam power to cover the wartime traffic and was assigned 15 Heavy Mikados by the USRA in 1919, Mikados which continued to perform long into the diesel era. 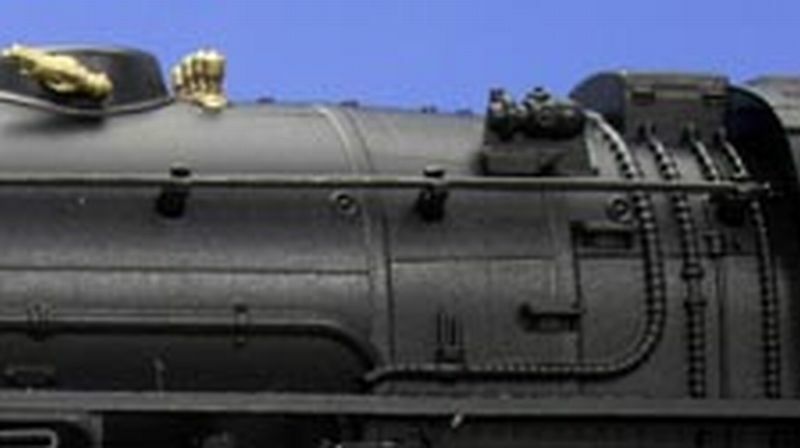 Kato's N Scale USRA 2-8-2 Heavy Mikados now come with all the handrails, bells, and whistles* factory installed. Working side rods complete the realistic look and motion of this superb model. * Literally referring to bell and whistle detail parts.